IT'S LOJA ANNIVERSARY !!!! BAM BAM BAMM! When you hear the drums through the Brazilian streets it means that carnival is starting. Lets celebrate all together! Hello guys. Just as I promised in a previous contest during Christmas, this year will be the year for us to celebrate CARNIVAL ON CHAT LOJA! I want to thank Cupim once more, thank him for all he has done for xat and for us. First, I'd like to invite you for our Carnival Events. Some of you may remember how Loja contests are run. To respect those memories, we decided to improve this event to make sure that we receive everybody with the same warmth. To briefly put it, in this contest you will get a chance to win xats by answering questions on chat Loja and by replying to this post. To participate in the ID contest, you will need to post in forums until March 8. To clarify: Everyone replying to this post will get a chance to win 2000 xats and/or a 6-digits ID. The on-chat event will occur in February, on days 25, 26, 27 and 28. Pay attention because the questions will be asked at random times. Winners will receive the xats as soon as they answer correctly - please do not disrupt the chat, try and help us to maintain a good flow during the online event. Users will get chance to win 100-150 xats (simple questions), 300 xats (hard questions) and 400-500 (epic questions). Tip: stay online as much as possible during these four days to increase your chances of winning xats. The questions will take place at random times to ensure that users at different time zones also get a fair chance to participate. To all users who have already posted their username and ID here, and to those who are going to post... You will be participating of a 10000 xats giveaway. All you need to do to participate is post your username and ID. If you have already posted (before my post), you are already participating. Don't worry. 5 users will be selected from this post, each will win 2000 xats. The winners will be announced on March 9. You have until March 8 to post here. Please take note that you will have only 24 hours to collect your 2000 xats prize (in case you win). In case a winner doesn't appear in 24 hours, another user will be selected to collect the prize. Yes, you read that right. Please, go and read it again just to be sure! Oh yes. 666555. For free. To win the ID, you will need to be the user with the most points on March 31. To get points, you must participate of Loja contests. a) (February 25, 26, 27 and 28) Answering to an epic question correctly during the chat event gets you 1 point. b) (Until March 8) Replying to this post gets you 5 points. Users will get chance to make more points after the results of the forum contest are published, on March 9. We will begin asking questions at random times then on Loja xat. Until March 30, after that day we will calculate who has more points and announce the winner. During the chat event for the ID, questions will be worth 1-3 points each. The top-5 ranking of the users with most points will be available to the public later. This thread will be locked on March 9. For more information on how this contest will work, click here. We will try to make this day special and unforgettable for you. And at last, I'd like to thank you all from my heart for taking your time to read all of this. Previously, I donated 50000 xats. Then later, I added 10000 xats more. Thanks @Mister for donating the 6-digits ID: 666555. I'm sure it will be a very fun day, congratulations to all the organizers. This looks so much fun! Thank you very much to all the organisers for their effort. Cannot wait to participate at this event. 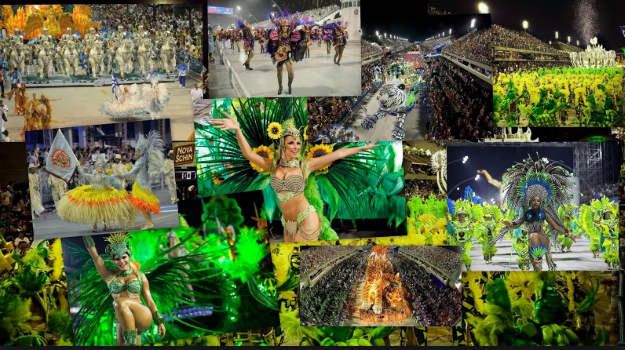 When you hear the drums through the streets of Brazil it means that the carnival is starting and why not? Lets celebrate all together this time. Hello guys just how i have promised in previous contest during Christmas, lets celebrate THE CARNIVALS IN LOJA. I want to thank Cupim once more and thank him for all he has done for xat and for us. I have decided to donate 40000 xats towards this contest to make it happen. I want to thank @Mister as well for his contribution towards the contest giving away a 6 digit ID, thank you very much. How does this contest work? simple, without a bunch of rules. the time is still pending, we will be informing very soon. Great Loja Carnival and Contest! Good luck for all the future visitors & participants! Thanks to all the staff and contributors for their donations to make this happens. I am sure it will be a very fun day, congratulations to all the organizers. I could always see a great union in the staff at the Loja. Congratulations to @Marya for this great initiative, and I want to congratulate you for promoting this beautiful event! Congratulation and good luck everyone! !